These instructions are for new installs of Docu-Mint 6.6 only. Please log in to myFreschesolutions.com to access the User Guide. Step 1: Download the Install Files. ? 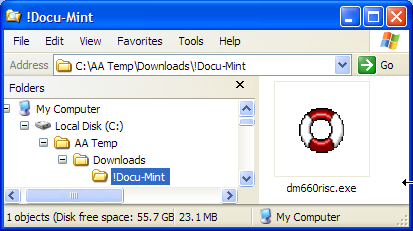 If you haven't yet downloaded the Docu-Mint install file to your PC do that now. Then return to this page. If you have already downloaded the install file, continue with Step 2. Note: The download file name will change as different releases of the software are made available.